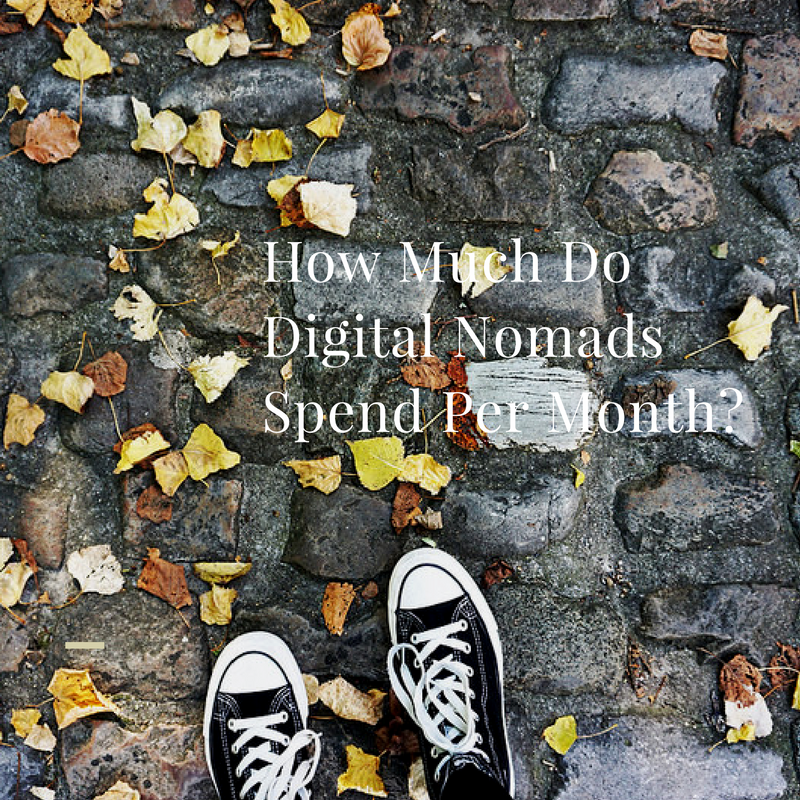 How Much Do Digital Nomads Spend Per Month? Welcome back to my digital nomad series, in which I ask 4 – 8 location independent professionals to answer a question about the digital nomad lifestyle. The point? We all do it a little differently. There’s no right answer. Our unconventional lifestyles are distinctly our own. And if you’re starting a location independent lifestyle of your own, you get to do it how you want to. Because, I repeat: there’s no “right” way. And anyone who tells you different is selling something. Today, I’ve asked six location independents to answer another common question: how much do digital nomads spend per month? As usual, I’ll kick things off myself. 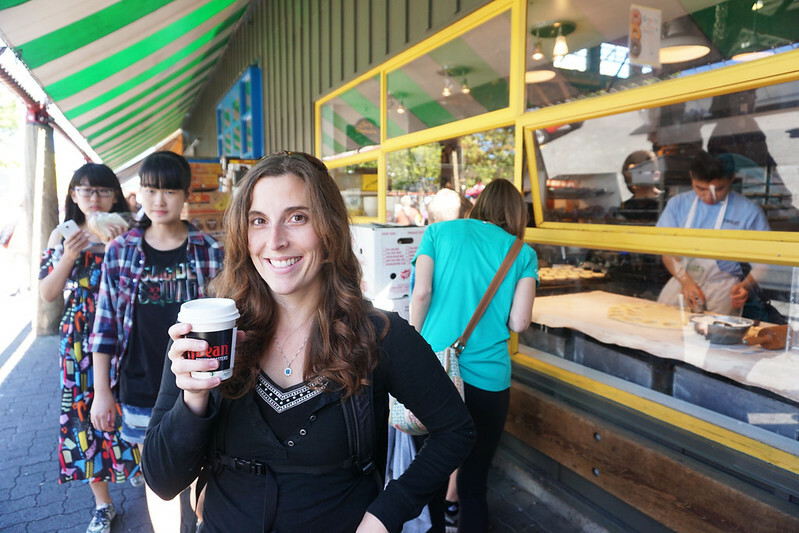 As you already know, I’m Gigi—the architect of this little website and the 100 Locals guidebook series. I’ve been traveling the world full-time since May 2012 (about four and a half years) with my freelance writing and content strategy business and my small dog. I’m currently in North Vancouver and getting ready to head to Italy for the winter with my partner, Chad. I try to stay under $2,000 each month, though, of course, some places are more expensive than others. Moving around helps with this, because even if my Paris budget comes in a little over $2,000, my Slovenia budget is likely to come in way under, allowing me to average out under my goal of $2k. While Luna and I have also spent plenty of time in Mexico, Canada, and the US, our hearts mostly lie with Europe, and so that’s where we spend our time. This means my budgets are probably a bit higher than your average nomad who spends a lot of time in places in Asia and South America. I’m a solidly middle-of-the-road traveler. I’m too cranky to stay in hostels or couchsurf very often, but I don’t have the financial means (or the desire) to stay in luxury hotels either. So I fall somewhere in the middle. I rent Airbnb apartments for a month or longer (long-term pricing on Airbnb is often comparable to what you’d pay for a furnished rental via something like Craigslist) in local neighborhoods, often outside the center of town. For almost a year now, I’ve been traveling with my partner, so he’s taking on half the cost, which makes the apartments extremely affordable for us. I walk, cycle, and take trains or buses most of the time, rather than owning or renting a car. I eat out probably once a week or once every two weeks and spend the rest of my time experimenting with new local ingredients in my own kitchen. When we do eat out, Chad and I often share a dish and a dessert, which is enough to fill us up and is a great way not to overspend on our little foodie splurges (and I do mean splurges: when we eat out, we go to places people rave about and sometimes pricey ones). And I travel very slowly, rarely ever taking planes, and thus rarely needing to spend a lot on transportation. In January, I bought a car for my cross-US-then-cross-Canada road trip this year. I also had to replace my computer and pay the full price on some medical bills that should have been covered under insurance (thanks, horrible, corrupt American insurance companies), unfortunately, which knocked my usually modest budget through the roof. Finally, that budget also suffered because I purchased a bunch of supplies for my four-month stay in Arizona (unusual for me, but necessary since I was renting via Craigslist instead of my usual fully-supplied Airbnbs). Luckily, the car was a short-term investment. I bought it for $2,200, used it gratefully for months, road tripped across the US, road tripped across Canada, explored the Vancouver area, and then sold it in Washington for $2,000 (which, after about $300 in repairs along the way and the $200 loss means that not counting gas or insurance, my transportation cost for about eight months came to about $500, which means you could actually factor the cost throughout the months as a respectable $62ish per month). So even though January was a $7k month, some of that cost has been re-cooped now, making it more like a $5k month (still over double what I normally spend, but less crazy now that that cost has been re-cooped). Those urgent and unforeseen medical expenses were about another $800 (good thing I have an emergency fund) and the computer was about $1,200, as I recall, so my spending on normal day-to-day things was about $3,000. We spent May road-tripping across the US. And the low spending? That’s thanks to all the lovely accommodations who gave me free stays in exchange for a review here on the blog. We still would have had a low spending month without them (as I was planning on camping/sleeping in the car if I didn’t get them), but they made that month so much more comfortable. A close second was March, which only cost me $1,383.81. At the time, I was renting a room in Flagstaff, Arizona, and spending most of my time hiking, walking around, catching up with friends, writing, and cooking. How do your expenses compare to when you were living in one place? My expenses have stayed about the same. When I left the US in 2012, my monthly budget was $2,000, not including some overall yearly purchases and business expenses like website hosting. I’ve tried to maintain that on the road, mostly with success. I spend less now on things like transportation (you’d be surprised how much car ownership really costs when you add everything up), shopping (when you’re living out of a bag, you don’t need to replace home goods or shop for clothes as often), and going out (I got bored a lot more in Denver and spent money to remedy said boredom). I spend more on things like dog paperwork (which costs me every time we cross a border) and shoes (which I wear holes in because I’m constantly walking and hiking). The fact that I’m still at the same budget four years after leaving the US makes me think that travel is actually cheaper than staying put, in my case. While friends of mine have seen skyrocketing rental prices in Denver, I’ve been able to rent $1,000 studios in Paris and two-bedroom apartments in Switzerland and Croatian studios with heated floors for less than $800. As usual, you can find me here on gigigriffis.com, as well as Instagram and Facebook. Hey, I’m Youjin. I’m making a documentary called One Way Ticket, a story about digital nomads/remote work. I’ve been away from my home country for 10 years, traveling the world to 30+ countries. Recently, I’ve become semi-nomadic, settling into two home bases (in South Korea and the Netherlands) and traveling in between. For rent, I spend between $350 (in Jeju, when I live with my boyfriend and split the rent) to $1,000 (outside South Korea, when I live alone). For food and coffee, I spend $160 (when I have a proper kitchen and cook a lot) to $400 (when I travel fast without my own kitchen and eat out a lot). Keep in mind that I can’t drink any alcohol because of an allergy, and it actually saves me a lot of money. My phone bill runs $20 – $40 depending on country and data plan. Travel insurance is $40 per month. Transportation runs $50 (in a big city with a good public transportation system) to $200 (when I have to use Uber most of the time). And other expenses (household items, haircuts, clothes, etc.) are around $200 per month. So that’s $800 to $1,900 per month not including any flights, taxes, or unexpected emergency expenses. Where I spend my time: South Korea, Amsterdam, and 30+ other countries. It’s been about 10 years since I left my permanent residence in South Korea. So far, my travels have taken me to 30+ countries (when I count places where I stayed more than one month). Last year was particularly crazy, as I had to move around depending on my interviewees schedules (for my documentary). This year, though, I decided to move much slower, with two home bases in South Korea and Amsterdam. I wanted to spend more time in my home country, but also wanted to learn about a different city in Korea every year. My boyfriend wanted to spend lots of time in Amsterdam, so I decided to spend summer there with him. And in the winter, I’m planning to fly to somewhere warmer than Korea and Europe. Since I’m traveling slowly these days, I’m able to rent a place for a relatively long period (six months or even a year). I rented a furnished studio apartment for six months in Jeju Island, South Korea, and spent about for four months there. Now I’m sub-leasing the place out to my friend while I’m in Europe. In Europe, mostly I have been sub-leasing a one-bedroom place with my boyfriend in Amsterdam. And I’m about to rent a studio apartment in Seoul for a year starting in September, so that I can go back and forth. I can easily sub-lease my place out in Seoul while I’m away. When I do a short trip (like 1 – 2 weeks) I use Airbnb and rent an entire place (not just a room). For a few days, I use hotels. I can’t drive. And in a big city like Seoul or Amsterdam, public transportation is pretty good. And in Amsterdam, you can go almost everywhere with your bicycle, which is awesome and cute! Highest spending month in 2016: February, at about $3,000. It’s hard to calculate because of all the expenses for the filming, post-production, and flights related to filming. Regardless, the highest spending month this year was February because of accommodation and flights between USA and Seoul. I spent 1.5 weeks in Miami and three weeks in Seoul, and in Seoul I was staying in an Airbnb instead of renting a house because of my uncertain schedule. Airbnb in Miami cost about $500 for 1.5 weeks, and Airbnb in Seoul cost about $1000 for three weeks. Lowest spending month in 2016:March and April at about $800 each. When my boyfriend stayed on Jeju Island with me for two months, we split the rent. My rent in Jeju was $600 per month, so while we were staying together, I only spent $300. Also, there was a free co-working space in Jeju funded by the Korean government, so I didn’t even have to spend money on visiting cafes and such. I experienced living in a Seoul for a year with a job that required commuting in 2013. Back then, my monthly living cost was about $1,400 to $1,500. One of big parts of my living cost was the expense of commuting every day. When I compare, the two biggest variables are location and how often you move. You can save a lot in some countries (like those in southeast Asia). And, of course, the more often you move, the more expenses you’ll have (flights, etc.). Now that I’m more semi-settled, with 2+ home bases, it saves a lot compared to the perpetual traveling what I did last year for the filming. Even including expenses for flights between Korea and Europe, it’s pretty similar to the cost of living in one place in 2013. Find Youjin at digitalnomaddocumentary.com and on Twitter. In 2006, I sold everything I owned in Canada (including a busy financial planning practice) to embrace my dreams of long-term world travel. I had no idea where I’d go, how long I’d stay away, or how I’d make money along the way. Fast forward 10 years later and I’m still on the road, having lived in/traveled through over 50 countries. 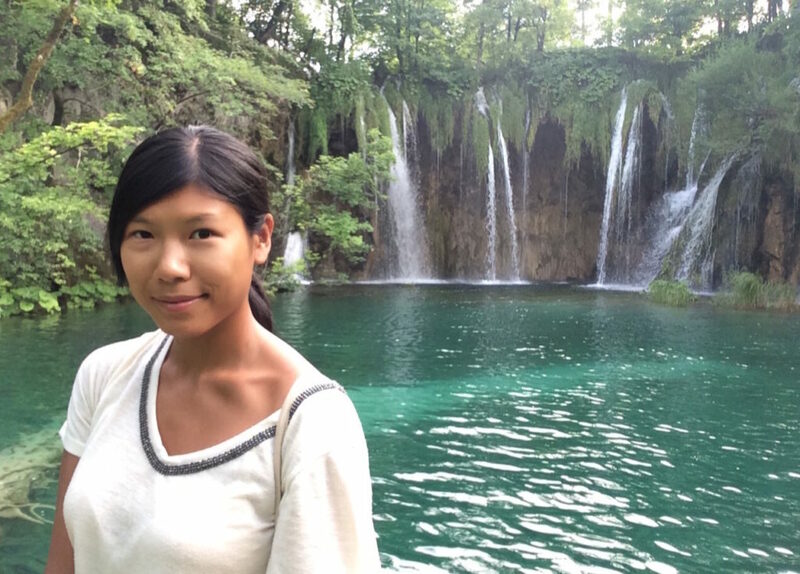 I developed a location independent career as a writer so I can continue to live and work my way around the world, and I teach people how to travel full-time in a financially sustainable way. Books include How to Get Free Accommodation Around the World, Working on the Road: The Unconventional Guide to Full-Time Freedom, and Tales of Trains: Where the Journey is the Destination. Month to month my expenses can vary dramatically. It’s dependent on my location, accommodation situation, and the prevailing currency. Some months are high because I need a new computer or luggage or my annual medical insurance bill is due. Other months are low because I’m stationary and enjoying free accommodation (with house-sitting or volunteering, for example). Luckily, I’ve been tracking and publishing my monthly/annual expenses for the last six years, so I have lots of data to go on. My lowest month ever in the last 10 years of full-time travel was $137, when I was volunteering in trade for both accommodation and food in New Zealand in 2010. My highest month ever was $8,140 (ouch!) in 2013, which included some business expenses on top of a European whirlwind trip with my partner at the time (who I also paid for). If I average out the last six years’ annual expenses, I come out to $2,233 per month. Where I spend my time: Varies. I’ve traveled through/lived in over 50 countries – so I’ve covered quite a gambit! During my initial years on the road, I spent a lot of time in relatively expensive places, such as Hawaii, Australia, New Zealand, and Europe. Interestingly however, because I was big on getting free accommodation at the time (and I wasn’t traveling too quickly), these were very inexpensive years…like $17,000/year sort of inexpensive. My couple of years spent in the Caribbean were the most costly, due mainly to my situation at the time, supporting a partner (and the Caribbean isn’t the cheapest place to live either). Thankfully, I got to enjoy some currency arbitrage during my last couple of years in Peru, so even though I paid rent, my expenses were low. I’m on the road again, and in the next while I expect to cover a wide range of territory from developing (aka cheap) to very developed (aka expensive) countries. I travel slowly, preferring to spend at least a month (if not considerably longer) in each place I visit, with some spurts of quicker travel in between. I often get accommodation for free, but have been known to pay for longer-term rentals. In some cases, I share spaces with fellow volunteers/friends/partners/other travelers and in other cases I’m on my own. I only tend to stay in hostels or hotels for a few nights here or there while I’m in between places. Although I bought cars in Australia and Grenada, I prefer not to live in places where I have to drive. I’ve had good luck in finding beautiful rural places that don’t require a car (or where there’s one available for me to use). And I’ve rented cars a mere handful of times (literally, less than five) in the last 10 years. What I eat and where and how also varies by location. I love to cook with fresh local produce (if I have a well-equipped kitchen), but I also love to sample local fare and enjoy the cultural experience of eating out. Overall, I’d say that I enjoy a champagne lifestyle on a beer-drinker’s budget. When I fly long-haul, it’s almost always in business class, for less than the cost of an equivalent economy ticket (thanks to frequent flyer miles). I’ve stayed in palatial residences around the world for free with house-sitting. With these major expenses out of the way, if I’m earning enough money to splurge on something, I’m not afraid to. When I want lobster, I eat lobster. I also know how to save money; the former financial planner in me is also good with budgets and not spending money that doesn’t need to be spent. This balance is how I’ve found a way to travel full-time in a financially sustainable way, without sacrificing the finer things in life! Highest spending month in 2016: $3,644 in March, when I traveled from Peru to Toronto to pick up my mum and take her to Ireland for a week (I won a trip to Ireland, most expenses included). I also bought a new computer and had a few personal expenses. Lowest spending month in 2016: $875 in May while house-sitting in Peru. My expenses to travel full-time (all-in) have consistently been less (often way less) than I ever paid to live in one place! Find Nora at The Professional Hobo and elsewhere online writing articles like this one on vacation spending vs. full-time travel. I’m a freelance UX/UI Designer who helps companies improve the user experience and design of websites and mobile apps. I also founded the Ladies that UX Amsterdam group and I’ve been organizing events remotely since this summer. 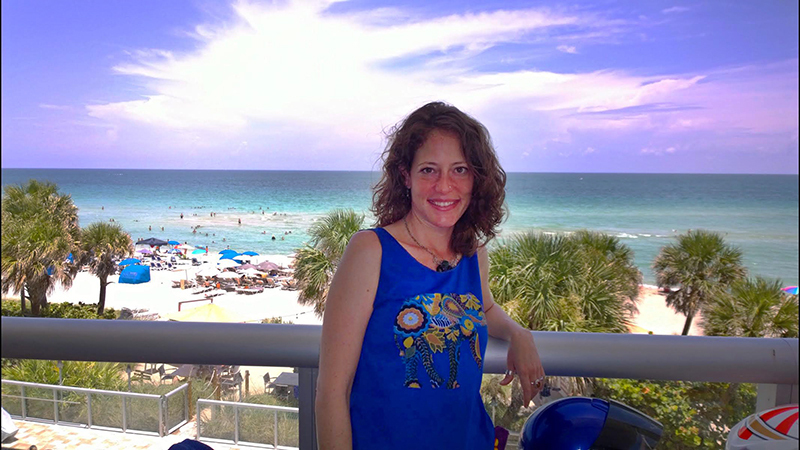 In 2013, I started living the digital nomad lifestyle, which combines both work and travel. To date, I have been to more than 30 countries and I expect the number to hit 40 in 2017. My month expenses range between €900 to €1,500, depending on how often I traveled in that month. The average €1,200 is on the higher side for my lifestyle (explained below). It’s mostly because I travel fast right now, so that incurs more transportation and flight costs. However, I plan to slow down after this summer, to spend two weeks to one month in a city, and I expect that to bring down my monthly expenses to €800 or less. From early 2015 to this June, I was based in Amsterdam and traveling out of there once or twice per month. I left Amsterdam in June and had been traveling in Europe since then. From January to August, I’ve visited 24 cities in Europe and 5 cities in Taiwan. Other than Amsterdam, I spend most of my time in Taipei, which is my hometown; I go back almost every year. Taipei is my favorite city in the world and I can stay in my family’s apartment. Starting in October, I will be based in Taipei for a while to spend time with family and save money. I usually stay two to seven days in a city. To choose the type of accommodation, I compare the value of an apartment vs. a hotel of the same price range. If an Airbnb apartment with a kitchen is the same price as a hotel, I choose Airbnb. If the condition and amenities of the hotel are much better than the Airbnb at the same price (e.g. pool included) I go for the hotel. So far, most of the places I’ve stayed are Airbnb apartments. Half the time I book a room in a shared apartment and half of the time I book an entire place for myself. It all depends on how much it costs. The average amount I spend on housing in Europe is €30 ($34) per night. Only when I’m staying for one – two days for transit or if the cost of living is high (more than €60 per night), do I then book a hostel bed. I only book a hostel if I have to, because I can’t sleep well when some people get into the room at 2 a.m. and others check-out at 7 a.m. Even when I’m staying at a place for two or three days, I still prefer a place with a kitchen, especially if local food is not cheap (more than €6 or $7 for a meal). I like being able to make my own meals for the days that I want to eat healthy or Asian. If I like the local cuisine and it’s cheap too, I eat out 80% of the time. If it’s not cheap, then I eat out once or twice in each place just to try the local cuisine, after which I make my own food. For example, I was in Croatia for three weeks and I wasn’t interested in local cuisine. I don’t really eat seafood and Croatian cuisine is similar to Italian, which I know how to cook. So I cooked most of the time in Croatia and my food expenses were about €30 ($34) per week. To get around, I usually walk or take public transit. I can drive, but my driver’s license expired and I can’t renew it (it’s a long story). So, I don’t go anywhere I need a car to get around (for example, a remote island). In Amsterdam, I have a bike, so I bike pretty much everywhere within the city. In June, I was based in Amsterdam and traveled to six different cities in four countries. My transportation cost was €84.73 (about $95) for commuting to/from the airport and to/from a beach festival near Amsterdam. For transportation, this is the highest of 2016 and eight times more than my average transportation expenses in Amsterdam. I ate out for lunch more often in June than I normally do, on days I worked from cafes. A total of €105.84 ($118) was spent on food and drinks. €299.62 ($335) was spent on transportation and flights for the trips in July. And I paid €27.87 ($31) for the last month of my gym membership, which I barely used because of so much traveling! Lastly, I had to renew my passport, which cost €205 ($230) including passport photos and transportation to The Hague from Amsterdam. In August, I travelled a bit slower, on average six days in a city. I also went to where the cost of living is lower (compared to my travels earlier this year)…places like Budapest, Krakow, and Prague. My boyfriend visited me in Krakow and we split the rent (and it is already cheap there). It was €57 ($64) per person total for a one-bedroom apartment for four nights. However, the biggest reason for the low expenses in August was that my family visited me in Europe for two weeks. My parents paid for most of the accommodation, transportation, and food/drinks in exchange for me being their tour guide. I began my traveling lifestyle when I moved out of Vancouver in 2013. Back then, I was living with family and expenses were low. I left Vancouver because I wanted to travel, not to save money. In 2013, I lived in Singapore and travelled in Southeast Asia from there. My monthly expenses in Singapore were about €1,000 ($1,120) including one to two trips every month. In 2015, I lived in Amsterdam and traveled within Europe. My average monthly expenses in Amsterdam, when I didn’t travel at all, were also about €1,000($1,120). When I look at my expenses for the months in Amsterdam that I didn’t travel, I find that big chunks of expenses came from insurance, local transportation, entertainment, and eating out. I tend to spend more on entertainment and eating out when I stay in one place, to make up for the fact that I didn’t go anywhere. So my monthly expenses are about the same whether I travel or not. When I’ll be living in Taiwan, I expect my monthly expenses to be less than €500 ($560)…or even be as low as €250 ($280). Even if I spend more on entertainment and eating out, my monthly expenses in Taiwan would still be cheaper than that of Amsterdam. My expenses when staying in one place vary since I’ve lived (e.g. stayed for more than a year in) in four different countries . I find that my non-nomad expenses can be about the same, lower, or higher than my nomad expenses, depending very much on location. Find Jenny on Twitter, Instagram, and jennyshen.ca. 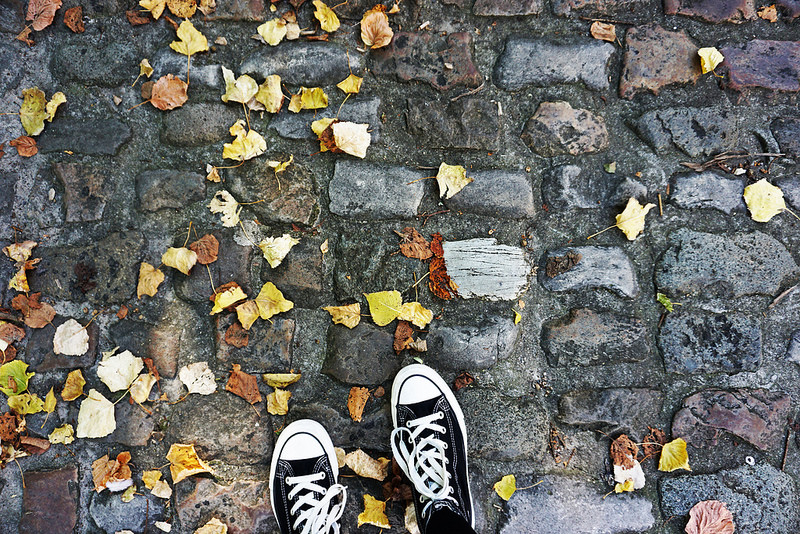 Kathryn O’Halloran is a writer, introvert, and polka-dot wearing traveler. She travels seeking adventures (mostly quiet adventures that allow for nap time). Actually, mostly just seeking coffee. Without business expenses, I spend around $3,000 a month. My business expenses fluctuate widely and I don’t really consider them a traveling/living expense. I find sticking to around $3,000 is a good, mid-budget level. If I try to be too frugal then my living conditions aren’t conducive to working. I need my own space. Where I spend my time: Japan, Geneva, and more. I have a love/hate relationship with Tokyo. I miss it when I’m not there but, after a few months, find it draining. I spend a bit of time in Geneva too because I’ve got a good friend living there. After a stint of solo travel, it’s good to have time with friends. While traditional digital nomad destinations like Thailand are much cheaper, I don’t want to limit myself to places just because they are cheap options. To me, that’s just as limiting as being stuck in a job you hate. If I want to go to a country with higher cost of living, I find ways to make it work. Unless I’m staying somewhere for less than a week, I’ll go for long-term rentals. I need to have my own space, so an apartment of my own, even if it’s a tiny studio, suits me best. The more I travel, the more defined my requirements have become. I want a clean apartment, not one that is someone else’s living space that they rent out or that doubles as junk storage. I also need fast Wifi (of course), a decent work space, a comfortable bed, and a working kitchen. For short term stays, I find hotels easier. I don’t have organize to meet anyone for key exchanges and the like (sometimes apartments can be so complicated to find!) and it’s nice to have the luxury of daily room cleaning, breakfast, etc. I usually go for cheaper hotel options unless the place itself is part of the experience. For example, I stayed at an art hotel on Naoshima in Japan and, as a guest, I had 24-hour access to the fabulous on-site art gallery. As for getting around, for me it’s public transport or walking all the way. My sister and I went to a small city in Japan last year and wanted to do things out of town, so I rented a car in a foreign country for the first time. It was just for half a day and super convenient for sightseeing, but the hassle of having a rental car longer term, needing somewhere to park it, and needing to navigate is usually not worthwhile for me. My attitude to cooking while traveling has changed completely when I went from short-term travel to a digital nomad lifestyle. Trying the local food was half the fun of traveling. And, well, it still is…but it’s better as an occasional thing. Not just financially, but also health-wise and just having control over your eating. Even if I eat at home, I do love going out to grab a coffee. Some days, when I’m deeply involved in a project, it’s the only human interaction I have. I was in Tokyo with my sister and was more in tourist mode. We did a lot of traveling and also had a few concerts we wanted to go to. I’d planned for it, though, so had more than enough money put away to cover my expenses. Even if you travel full-time, you need to take a vacation occasionally. Lowest spending month in 2016: May at $1,502. My mother recently passed away so I returned home and spent some time finalizing things. My spending was much lower because I only had to cover minimal expenses. I probably spend more on a day-to-day basis than I used to. Not because traveling is more expensive, but before I’d live an extremely frugal lifestyle at home to save money for travel. Now my spending is much more balanced. It’s not total deprivation for months of the year then a big blowout for holidays anymore. Find Kathryn at kathrynohalloran.com and Instagram. I’m the co-founder of a magical pirate retreat on the beach in Thailand, lead developer for Saberesponder, and what I like to call an “everywhereman,” having been on the road for four years. I originally hail from Estonia. My expenses depend on which country I’m in. Usually my girlfriend and I spend between $3,000 – $4,000 per month. I have a love affair with Thailand and Vietnam, so I go to both those countries often. I also have small business interests in Thailand and Singapore, so I’m sometimes there on business. Because I travel with my girlfriend, I don’t stay in hostels much. Usually we head to hotels, Airbnb places, or friends’ homes. Sometimes if we have friends traveling with us, we pay for houses. We tend to stay at places for at least a month. I also use public transport and sometimes rent bikes. And we eat out a lot. Highest spending month in 2016: $8,000 traveling through France, Luxembourg, and Belgium. Lowest spending month in 2016: $1,500 in Thailand. Find Skat on Twitter and his retreat. Now, to you, dear readers: any full-time travelers out there? What are your budgets like? Thanks for including me in this post! I’m fascinated by the finance of travel, and how various people make ends meet with a variety of different lifestyles. So….I loved reading this! 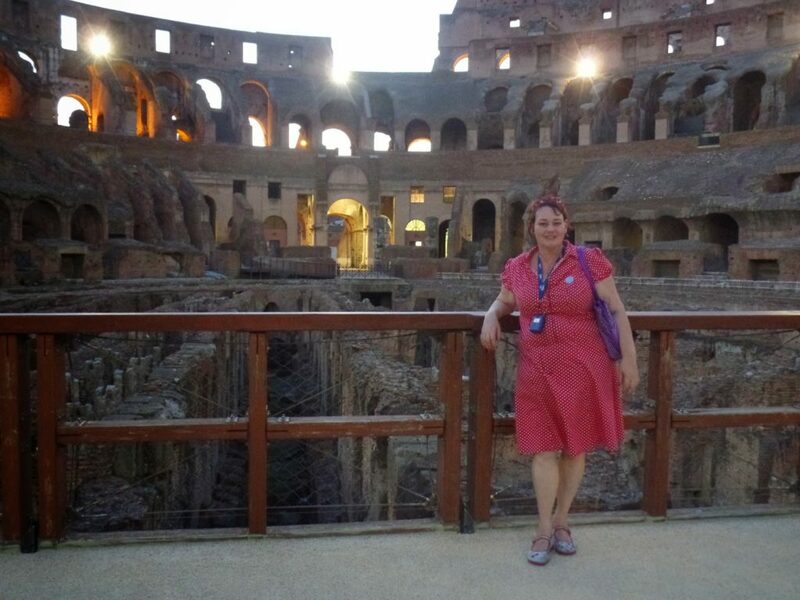 Kathryn OHalloran recently posted…Travelling to Tokyo? Five things the guidebooks get wrong! Thanks again for giving the interview! This was great. It’s good to see how our budget stacks up to the people who have been doing this for years. My wife and I have been traveling full time for 9 months now and we spend about $3,800 per month including student loans, our car payment and other house hold expenses since we didn’t liquidate everything. Really love this article ;-) This is a question that I get asked all the time. Really awesome how you portrait all these wonderful lady nomads & Stan. I have just been directed your website through Hecktic Travels! I am so glad (and so grateful to Dalene and Pete) to have come across you and your travel articles as I am planning to do the exact same thing in a couple of years with my now-10 year old daughter! So much resonates with me on your pages, that I am now all fired up to go even more gung-ho! I have travelled quite a bit before, but have not really had to budget and account for my money (I have been fortunate to travel for work – so no real budgeting). But with a tag-along, money will be of the utmost importance :-) I have been talking about this for years and have finally made the decision that 2020 is the year we go! And now you have given me the incentive to focus! Thanks heaps! Awesome information! Yay! I’m so glad! Congrats on getting ready to take the leap and so glad I could help!